HBO has shifted the kick off dates for animated series The Life & Times of Tim and newbie Angry Boys. Tim returns for the first of 10 episodes on Friday, December 16th, and is expected to run until February 17th. Angry Boys has been delayed until Sunday January 8th. Its 12 installments are expected to air through March 25th. NEW YORK, Oct. 13, 2011 – HBO has announced the debut dates for the new Chris Lilley series ANGRY BOYS and the returning animated series THE LIFE AND TIMES OF TIM. 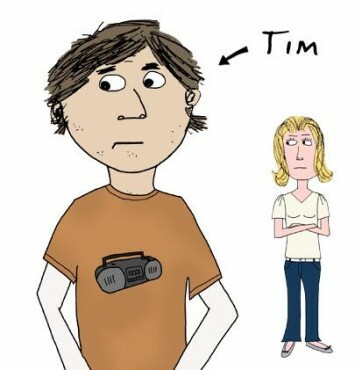 THE LIFE AND TIMES OF TIM returns for its ten-episode third season FRIDAY, DEC. 16 (9:00-9:30 p.m. ET/PT). This animated comedy series about an average guy whose instincts repeatedly lead him down the wrong path was created by Steve Dildarian, who also executive produces and writes the show, and provides the voice of Tim. The New York Post has called THE LIFE AND TIMES OF TIM “fantastically twisted, sublimely inappropriate, massively funny,” while the San Francisco Chronicle hailed it as “flat-out brilliant.” ANGRY BOYS was written and created by Chris Lilley; executive producers, Chris Lilley, Laura Waters and Debbie Lee (for the ABC); produced by Chris Lilley, Laura Waters; directed by Chris Lilley, Stuart McDonald, Jeffrey Walker. More about: Angry Boys, Angry Boys: canceled or renewed?, The Life & Times of Tim, The Life & Times of Tim: canceled or renewed?